The Long House is in Westdean, just off the A259 between Eastbourne and Seaford. To find our house turn left at the T-junction by the village pond as you enter Westdean, and head up the hill about 100 yards. (If you rely on a SatNav put in our postcode BN25 4AL…it’ll take you to The Old Parsonage: entrance to The Long House garden is fifty yards to the west.) We’re on the South Downs Way so walkers shouldn’t have any problems finding us: just keep your eyes peeled. 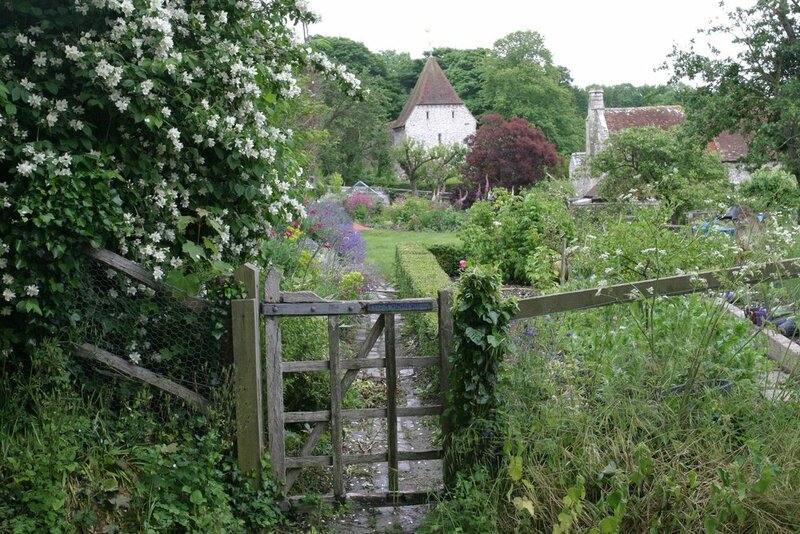 Westdean is a small medieval hamlet (no pub or shop so strictly speaking not a village) tucked secretively in a fold in the South Downs National Park, with a saxon church, the oldest lived-in parsonage in the country, a few flint cottages and several converted barns. Well worth a visit even if you’re not coming to our garden. How to find Westdean: 3 miles east of Seaford, 6 miles west of Eastbourne. From A27 follow signs to Alfriston then Litlington then Westdean is at the end of a small lane 1 mile beyond Litlington. From the A259 at Exceat turn into the Litlington Road and the lane to Westdean is 1/4 mile on your right. Free parking in the village only on garden open days.